Johannesburg South Africa, 18 July 2018. Schneider Electric is be participating in the POWER-GEN & DistribuTECH Africa conference, held at the Sandton Convention Centre from 17-19 July 2018. POWER-GEN & DistribuTECH Africa is a unique opportunity for the electricity industry to work together with international business leaders and technical experts to power up the continent. Providing a multitude of networking opportunities, the event spans all aspects of centralised and distributed power generation along with leading technologies in power transmission and distribution in an African context. 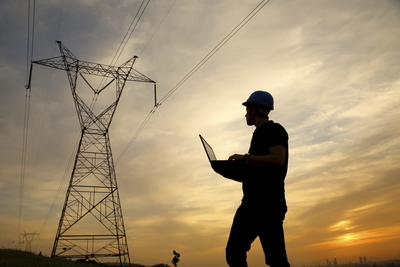 “The Energy Supply Industry in South Africa is experiencing a new dawn. We are looking forward to discussions on relevant topics such as digitisation, decentralisation, grid maintenance and management, energy efficiency and industrial applications, renewable energy systems, energy storage, demand management, communications and automation for infrastructure,” Madangombe says. “Schneider Electric strives to ensure the Life is On for the rural and urban infrastructures of the continent through the application of its specialised product knowledge and the Industrial Internet of Things (IIoT). Highlighting innovative technological advances, another Schneider Electric solution was recently installed at the Stubb Street Substation in Makhado (Louis Trichardt), Limpopo Province, with the first of the new-generation Schneider Premset SSIS (Shielded, Solid Insulation System) modular switchgears. “This represents the future of medium voltage distribution, embracing intelligent connectivity to bring a new level of efficiency to help meet the growing demand for power, especially for critical power industries in need such as data centres, utilities and healthcare,” he says. “We are also looking forward to meeting with delegates to discuss and explore innovative technologies. POWER-GEN & DistribuTECH gives us an opportunity to collectively unpack our electricity strategy across the continent, share best practices with each other and make sure that we are united in serving the more than 650 million who currently do not have access to power,” concludes Madangombe.